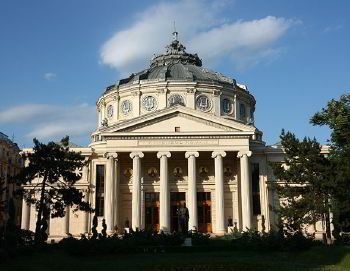 Romania is being considered one of the most beautiful southeastern counties of Central Europe - booking a vehicle with a skillful driver in Romania is exactly what you need. Once you arrived in this gorgeous country and chose to explore famous cities like Bucharest, Cluj-Napoca or any other places, you are welcomed by 8Rental - a respectable car supplier with experienced chauffeur service in Romania. Our company has created the easiest solution for car rental. One of our advantages has been in the industry for many years and this helped us to gain a good reputation among both customers and other rental services. Now we are offering you a series of amenities you won't get from any other car rental service. Ordering a vehicle together with our chauffeur service is so easy and it won't take you more than a couple of minutes. Just get a quote and follow these brief instructions to complete it successfully. Before completing your personal information, such as your name and surname, your email and phone and, in order to receive the best services, you need to mention any additional service you would like to get. 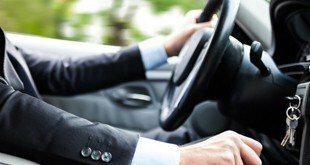 Whether you need a car to meet you at the airport or at the railway station, or whether you need an extra amenity in the vehicle, as well as, the language your driver should master, must be stated, too. Moreover, 8Rental will provide you with free fuel and medical insurance. This is a great advantage as compared with offers made by other rental services. Provide pick up and destination addresses. This information will determine what type of a vehicle and suitable chauffeur service you will be advised to book. In the same way, you can select a car class. Finally, once everything is completed, all that you have to do is enjoying comfortable driving in the country provided by 8Rental. 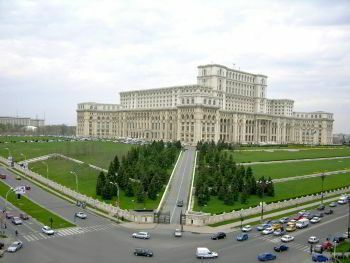 Whether you need to rent a car a minivan or a bus with a driver in Romania, 8Rental is at your disposal. Cars - Our cars are equipped with everything necessary so that you receive a great pleasure with every kilometer driven with us. Minivans - The same refers to our minivans. You can rent a Mercedes Viano, a V class or a Mercedes Sprinter minivan at an affordable price. These models are designed for transporting either up to eight or up to twenty-four passengers in complete comfort. Hire a minibus together with our chauffeur services in Romania to have your entire group of travelers transported in safety and comfort. Buses - As far as you are concerned about hiring a bus, there is no better destination than 8Rental. It offers to choose Mercedes Tourismo and hire a chauffeur driven coach in Romania right away to be driven in the city in comfort. This huge bus can accommodate sixty-five passengers at the same time. Limousines - if you are used to driving in chic and style, consider renting a luxurious limousine. 8Rental has obtained several fabulous limos to satisfy any client's most capricious requirements. Just hire a limo with a driver in Romania for your special event. Even if you are driving a premium and equipped a vehicle with the most advanced safety system, you won't feel safe until there is a professional driver behind the wheel. By booking a vehicle from 8Rental, you are getting an experienced chauffeur at your disposal. Our licensed drivers, who are well acquainted with the roads of the city, will deliver you to any necessary direction. Besides Romanian, our chauffeurs master different foreign languages, too. Thousands of clients around Europe rely on our drivers, hire a vehicle from our car rental and see it for yourself.